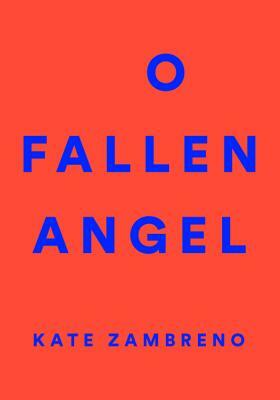 The haunting debut novel that put Kate Zambreno on the map, O Fallen Angel, is a provocative, voice-driven story of a family in crisis—and, more broadly, the crisis of the American family—now repackaged and with a new introduction by Lidia Yuknavitch. Inspired by Francis Bacon's Three Studies for Figures at the Base of a Crucifixion, Kate Zambreno's brilliant novel is a triptych of modern-day America set in a banal Midwestern landscape, told from three distinct, unforgettable points of view. There is "Mommy," a portrait of housewife psychosis, fenced in by her own small mind. There is "Maggie," Mommy's unfortunate daughter whom she infects with fairytales. Then there is the mysterious martyr-figure Malachi, a Cassandra in army fatigues, the Septimus Smith to Mommy's Mrs. Dalloway, who stands at the foot of the highway holding signs of fervent prophecy, gaping at the bottomless abyss of the human condition, while SUVs scream past. Deeply poignant, sometimes hilarious, and other times horrifying, O Fallen Angel is satire at its best. Kate Zambreno is a novelist and cultural critic. She is also the author of two novels, a collection of talks, and two other books of nonfiction. She lives in New York and teaches writing at Columbia University and Sarah Lawrence College. Lidia Yuknavitch is the author of the National Bestselling novel The Small Backs of Children, winner of the 2016 Oregon Book Award's Ken Kesey Award for Fiction as well as the Reader's Choice Award, the novel Dora: A Headcase, and three books of short stories. Her widely acclaimed memoir The Chronology of Water was a finalist for a PEN Center USA award for creative nonfiction and winner of a PNBA Award and the Oregon Book Award Reader's Choice. She founded the workshop series Corporeal Writing in Portland Oregon, where she also teaches Women's Studies, Film Studies, Writing, and Literature. She received her doctorate in Literature from the University of Oregon. She lives in Oregon with her husband Andy Mingo and their renaissance man son, Miles. She is a very good swimmer.